Rock Valley Publishing LLC. – Are Boone County residents prepared for tornados in 2019? Michael Bates, age 6; Cindy Day, age 9; Lawrence Decker, age 17; Cecelia Eakin, age 83; Kent Ferguson, age 12; Harold Gustafson, age 72; Pamela Haines, age 14; Mary Jean Hamre, age 65; Craig Hyser, age 8; Barbara Johnson, age 10; Gilbert Julin, age 63; Bruce Lindley, age 13; Cristine Lutzow, age 9; Sandra McLain, age 21; Theodore Nelson, age 15; David Wayne Poe, age 13; Dwight David Shaw, age 11; Timothy Smith, age 17; Vicky Jo Smith, age 9; Jack Stoll, age 23; Johnnie Tate, age 6; Phyllis Van Brocklin, age 13; Rebecca Vogel-sang, age 8; NorineWych, age 8. 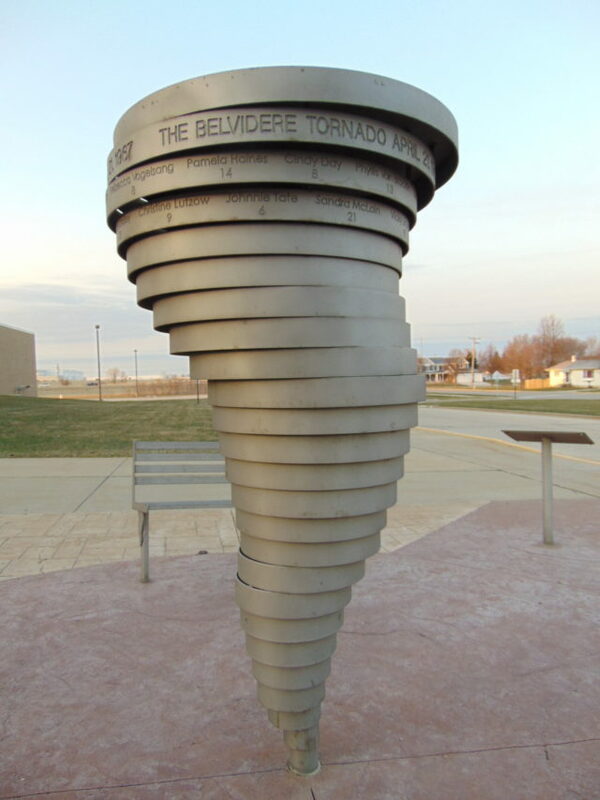 These are names which will forever be linked to the Belvidere Tornado of 1967 in which they lost their lives. Survivors of that day still bear the mental, emotional, and physical scars of their terrifying experience with an EF4 strength force of nature. 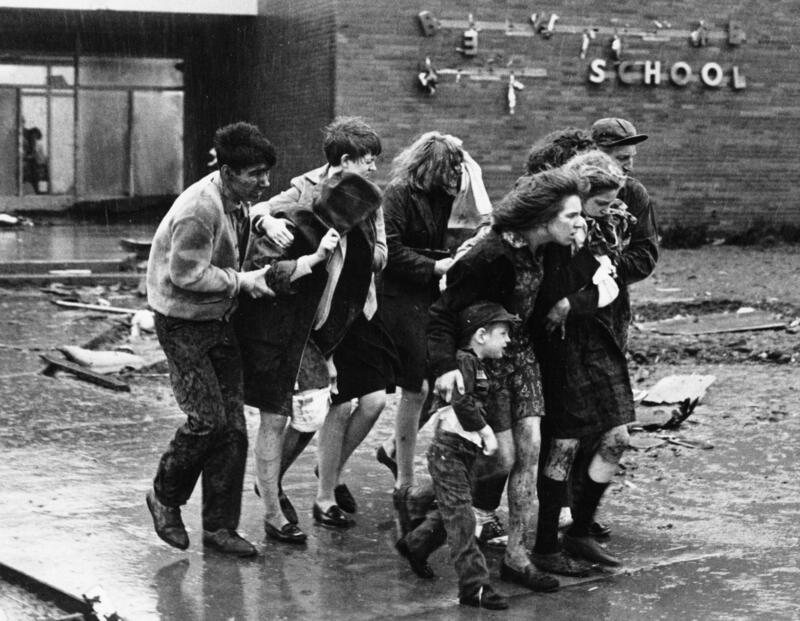 It was one of ten tornados to barrel across northern Illinois leaving behind a path of death and destruction that day. Once again, we have reached the time of year when we can say it is tornado season in northern Illinois. ‘Tornado season’ is of course something of a misnomer. Tornadoes happen all year most years. That said, over half of the tornadoes on record have come in a three month span from April to June. That percentage rises to about 75 percent when looking at March through July. So ‘tornado season’ is only something of a misnomer. The Belvidere Tornado Memorial at Belvidere High School bears the names of those who lost their lives during the severe event in 1967.
the months of March, April, and May. They say that last winter’s La Niña could be priming the atmosphere for a pattern that favors U.S. severe weather. In line with previous research, the Columbia team has shown that severe weather is more likely over large parts of the nation after a La Niña winter than after an El Niño winter. The Boone County emergency sirens are checked monthly and are in good shape. It’s time to dust the spider webs out of your emergency shelter and stock up on supplies.